The HUAWEI P20 Pro features the world’s first Leica Triple Camera and AI processor, which work in concert to deliver a professional photography experience. 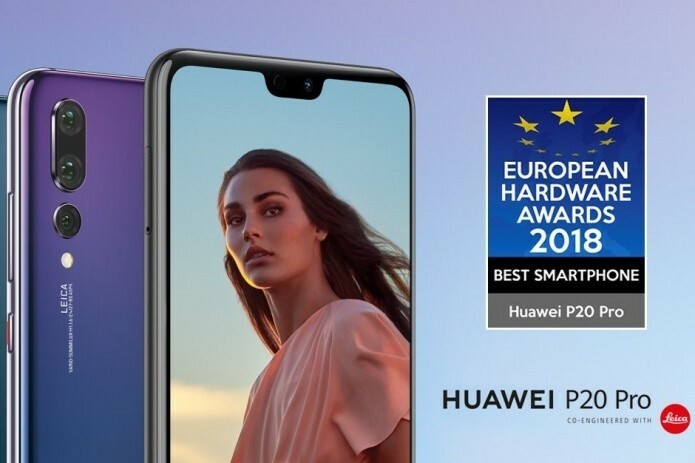 The HUAWEI P20 Pro was named “Best Smartphone of 2018” at European Hardware Awards 2018, an annual awards organised by the European Hardware Association. The European Hardware Awards recognise and celebrate the best electronic products in the European market, as selected by experienced editors from around the world. The 2018 event saw more than 100 editors voting for their favourite products across 42 categories of electronic devices and hardware, including smartphones, wearables and PC components. “This represents another feather in the hat for the HUAWEI P20 Pro and cements it as a firm favourite of consumers and the industry alike. We are thrilled to receive such a distinction,” said Bruce Lee, Vice President, Handset Business, Huawei Consumer Business Group. The HUAWEI P20 Pro features the world’s first Leica Triple Camera and AI processor, which work in concert to deliver a professional photography experience. The smart camera system produces outstanding handheld night shots, and supports up to 5x Hybrid Zoom and 10x Digital Zoom. The camera capabilities of Huawei’s latest flagship are attested by the device’s continued dominance on DxOMark’s leader board, a trusted industry standard for camera performance, where the HUAWEI P20 Pro stands above the competition with an overall score of 109 since it was launched in March.